It is hard to comprehend the improvements in digitalization technology that seem to surpass, in terms of, superiority in action and performance every other day. Technically speaking, Conversational Commerce is the process of interacting with a brand or even buying a product or service specifically through non-traditional channels, for example, voice assistants, SMS text, online and social media chat. It helps you to build valuable customer relationships with more meaningful and personalized marketing that is proven to increase your revenue. Chat-bots are automated programs that talks with people to answer queries and completes specified requests by customers. This piece of technology is called AI or Artificial Technology which is the ability of machines or computers to impersonate human thinking decisively. For the purpose of understanding, these bots use NLP (Natural Language Processing) in an effort to recognize what you are saying to it in order to reply you accordingly and as much as possible with accuracy. Amazingly, the bot can chat with you and perform tasks for you. A chat-bot could help you in more than one way; order food, book appointments, buy things online, book movies tickets. Now instead of browsing a website, you can command the Ai-ran companion what you are looking for and she will find it for you. It is quite similar to walking into a conventional brick and mortar store and talking to the salesperson. Go to see, these digital assistants have been around for quite a while now. Nevertheless, the real evolvement is their new capability to adapt to the customer through the Machine Learning (ML) process, which is new and may prompt you to try out. Even before we delve and probe about bots, let us understand where it originated from, how it gained popularity in a short time; and how it is placed in today’s market scene. Where Do Chat-bots come from? As stated above, Chatbots have been present for a long time; the only thing is, we have not identified it technically or found its utility then. Although Eliza, the first chat-bot was developed by a group of researchers at MIT in 1964, it came to life only now. One might wonder and ask oneself, whether the phenomenon of Chatbots coming to life is a matter of concern? On a beneficial note, your E-Commerce business could have a chat-bot that could chat with your customers 24/7 to promote your products and services! The efficiency of Chat-bot in the coming days has made people sit up and take cognizance. Thanks to the artificial experience. The way people interact with AI is going to take the social norm to the next level. Talking about competence, the new app of FedEx uses Alexa, Amazon’s virtual assistance, who is competent enough to assist or guide you in the complex shipping process. Thus claims FedEx chief: “When you think about the complexity of global shipping it’s quite an intense world“. If you want a Chat-bot to learn and develop, ensure that your data is perfect as it is the key to AI. You have to feed its algorithm with examples of customer requests and the corresponding correct answers. No matter whether you can build good Chat-bots by using static data sets, which are more realistic and akin to humans, AI learning algorithms will continuously need new data to become smarter gradually. This is the main reason why companies should invest early in ML architecture so that it continually collects new data and uses it to regularly update their AI models to be ahead of times. There is a great likelihood of you facing irritant issues if your business deals with customers on a day to day basis. So it is wise to build a Chat-bot to streamline customer interaction, by providing information to the customers efficiently and instantly than a human customer service representative. 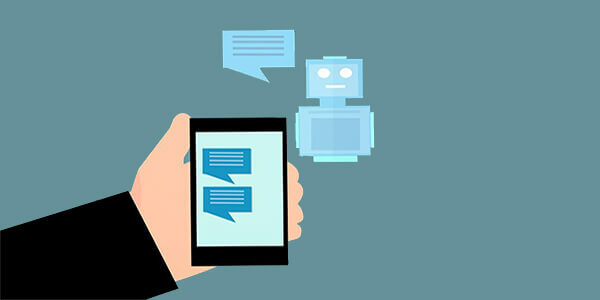 So chat-bots can definitely help your E-Commerce to reduce the costs of customer support and to build a better exchange of dialogue with consumers 24 x 7 for great consumer experience and their patronage. AI related automation and digital assistants do not deter us today. We are not terrified by them as they are used in our day-to-day life. The robots and digital assistants are gaining popularity by the day. Moreover, you can even personalize your new bot employee. Formal him, ridiculous…isn’t it? Your new bot employee would also know when he does not understand the user’s queries and allows the customer to talk to a real person. A key feature which is also very vital to your new employee is that he can broadcast messages to your customers. If you have plans to launch a new product and you want your customers to know about it, you can tell your bot to send a group message to all your customers about the arrival of this product. Things are constantly changing, read evolving. Customers are crucial in today’s competitive E-Commerce world. There is the probability that E-commerce Chat-bots is the next big thing, that is happening and you should be aware of such a paradigm shift. The onus of understanding the customers’ state of mind lies in the virtual service agent’s personal assistants and Chat-bots. Presently, Bots works on pre-registered answers and is unable to perceive anything else such as sarcasm or jest, which is against their set parameters. However, soon the Chat-bot will be analyzing new parameters and accurately respond in the future. This is in the making. These new features the Chat-bots are going to become more realistic. By adding visual impact and ease of using voice command to engage customers, the technology is becoming a great hit. The perceptible application era is starting to fade soon! It is ideal to state that the number of Chat-bots in the markets is about to rise. The prospect for the technology is bright with good long-term gains. The race has already begun. What are you waiting for?